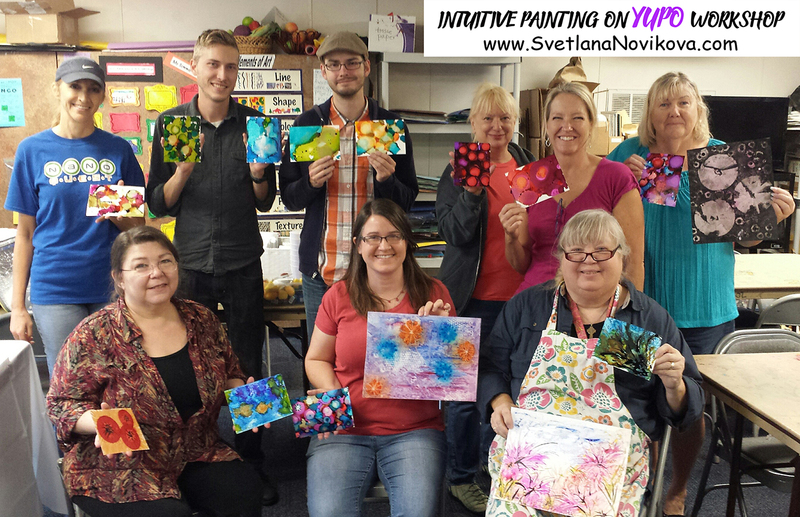 I teach Art Workshops and conduct Paint Parties several times a year in Austin Texas area. 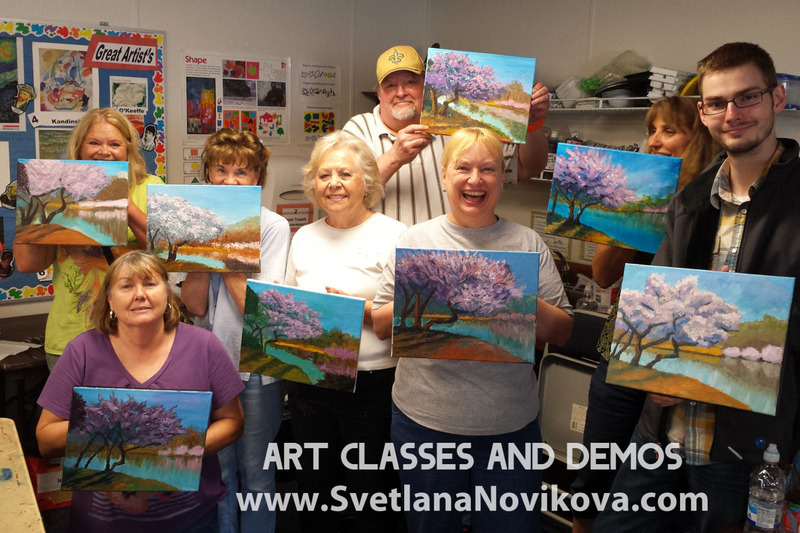 My workshops, paint events, art demos are great for beginners and intermediate students. 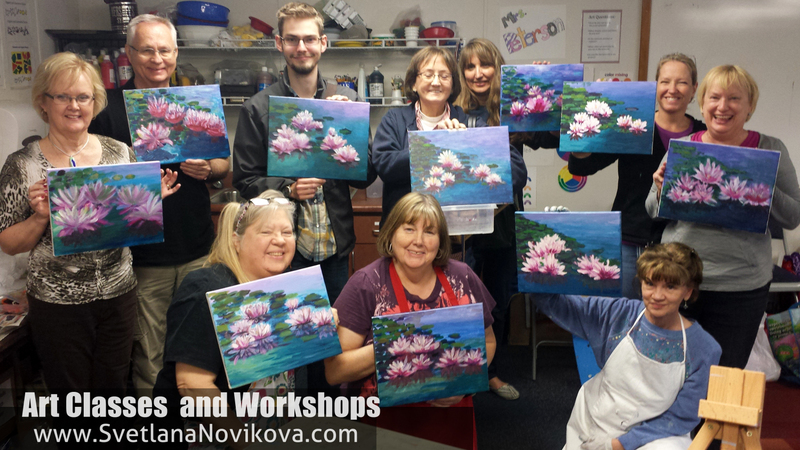 You will have a great time, tap into your creativity, learn a lot, and often come home with a finished painting. These workshops are great for corporate team building, fun get togethers, business and private events, birthday parties, and more. For more serious minded students, I can teach specific techniques, Impressionistic style painting, Beginner and Intermediate Watercolor, painting techniques, beginner drawing, how to draw pet portraits, understanding Color Theory, Acrylic painting techniques, Abstract Painting, Mixed Media, Painting on Yupo paper, and much more. For fun Event Paint parties, I can demonstrate how to paint simple but fun projects to make your party exciting and fun. I am available for Art painting DEMOS at events, art clubs, and various corporate and private functions in Austin area and nationally.